Mia Almar (formerly Polly’s Place) is where you go to if you just want to experience the beach and a simple lifestyle at an affordable rate. Located along Patar Beach, Bolinao, Mia Almar has one of the best locations. It is near most of the tourist spots. Whether you’re a couple, a couple of friends or a family, this place offers a pretty serene and relaxing getaway. There’s only you, the beach, the sea, stars, coconut trees and the huts. If all of that sounds appealing, then read on. For a short weekend trip to Bolinao, I found Mia Almar online. Most budget travelers and backpackers recommend the place for its ambiance, simplicity, and affordability. Needless to say, after typhoon Ompong, I was ecstatic to get my dose of the beach. We arrived in Mia Almar at around 3pm after eating to our heart’s content at the Sungayan Grill. If you want some seafood and a view of the Balingasay river, I definitely recommend you to eat at Sungayan Grill. We were lucky to have gone to Mia Almar during their ‘Rain Drops Rate Drops’ Promo. There’s also the Ate and Kuya huts. Each of these has its own kitchen, CR, aircon and free use of lpg, pots and pans. They also offer van tours aside from the accommodation. Package starts at around P1,800 per person. Do note that these prices are subject to change without prior notice. During our stay, we booked the Buridek hut. While it can accommodate a maximum of 10 people, we were composed of around 13 persons. Three of which were kids. Since we brought our camping tent, some of us slept in the tent outside. The beach all in all is pretty nice. It was clean. There was no trash scattered around the area. From about 50 meters from the beach, there’s a natural sea barrier. This is why the waters near the beach are pretty calm – perfect if you have kids with you. It’s best to bring your snorkeling gears. There are fishes swimming around the beach area. I got to see some white and blue colored fishes! The water depth can be a bit shallow especially during low tide so keep this in mind if you want to swim all around. Just be sure not to go past the sea barrier. We were told that’s it’s deep in that part. You can book via their Facebook page Polly’s Place – Wow Bolinao. Just send them a quick message, and they’ll reply in just a few hours. 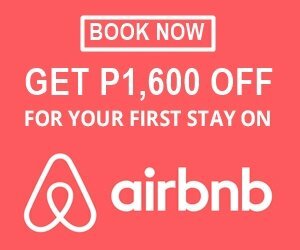 If you want to reserve a room, you have to pay 50 percent (downpayment) of the total price via BDO, Cebuana Lhuillier or Palawan Express. If you’re commuting from Manila, just ride a bus heading to Bolinao. Once in Bolinao, take a tricycle and ask the driver to bring you to Mia Almar. If you’re driving, you can use Google Maps or Waze. You might have a bit of hard time looking for the place since their signs aren’t that big. If you’re using Google Maps, you can try to search Polly’s Place if Mia Almar is not showing up. Mia Almar used to be called Polly’s Place. They had to change their name. When they tried to register the business, they were told that someone is already using Polly’s Place. Here’s a quick trivia. Polly is the name of the owner’s father and Mia Almar is the name of the current owner. Buy all the food that you want to eat. You can cook at Mia Almar. Bonfire is not allowed in the area. Please make sure to put your trash in the garbage can. You can bring your tent and rent some foams and other beddings to make your camping more enjoyable and comfortable. Be considerate and ask the other visitors first before playing your songs too loud. There’s a small sari-sari store in front of the resort.